Hi friends! After a little delay, due to delivery trouble, my special Christmas gift from our friend RJ finally arrived, and it was worth the wait. Just have a look at what RJ made for me. Isn't it gorgeous? I just love it! 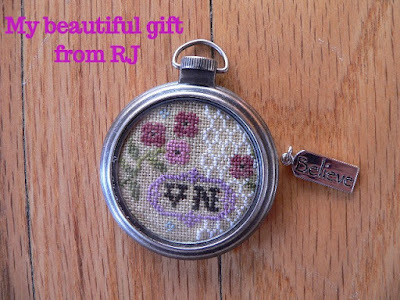 What a treasure.❤️Thank you so much RJ. Guess what? The orthopedic surgeon said that those "tears" the radiologist discovered on the MRI are tiny, and just normal degeneration for a person my age. I do not need surgery. I do not have a torn rotator cuff. All this pain is coming from my neck! C6. It is pinching the nerve and flaring things up, all the way down to my fingers. I have an appointment to see a spinal surgeon on Thursday. Not for surgery, but to see what we can do. I am on oral steroids right now to get rid of this pain. I wonder how many of you have read The Nightingale by Kristin Hannah? Oh this is a GOOD WWII novel my friends! Well, I need to go walk on the treadmill. Man! Too many chocolates, cookies, pies and cakes in December!! How about you? I hope you have a wonderful week my friends. Thank you for your kind words on my last post. Thank you for sticking with me, caring about me and praying for me. This has been a rough year for me pain wise. ugh. I am hoping for a SUPER 2018! Hi friends! I did it! 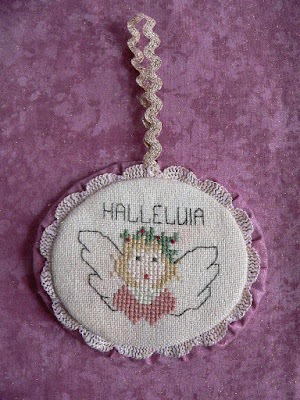 I completed the stitching AND the finishing on Madeleine's ornament before Christmas. This was an unplanned gift. 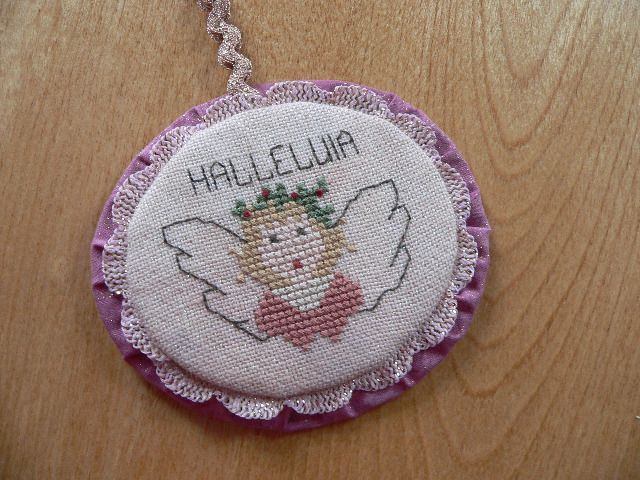 Gracie gifted ME with CDs from The Gift of Stitching two weeks ago and I found a pattern for an adorable ornament I just knew I had to make for Madeleine. 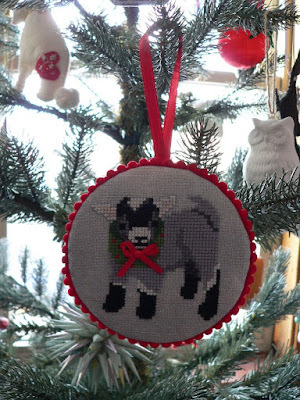 Madeleine has a thing for goats.😊This pattern is called Xmas Goat Ornament by Barbara Westhoven and can be found in issue 47, December 2009, Gift Of Stitching Magazine. Madeleine was very happy with this baby goat. Our friend June received the ornament I stitched her. Would you like to see? 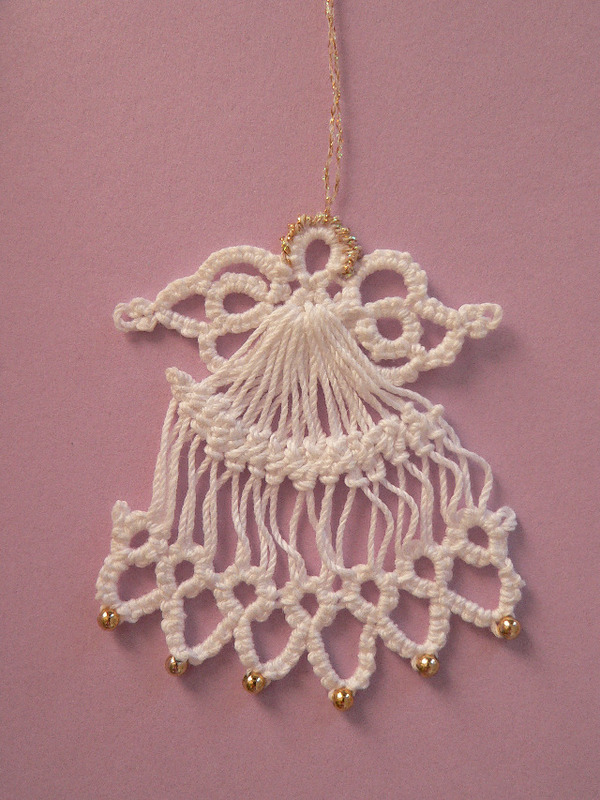 This is from the 2015 JCS Christmas Ornaments Issue. 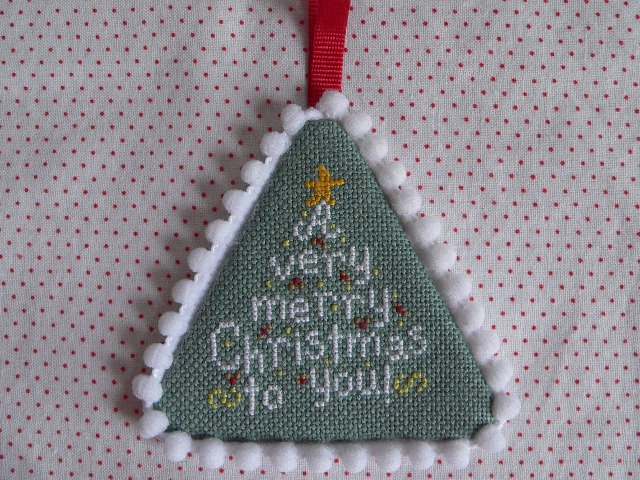 The pattern is called Very Merry Christmas by Medina Originals. 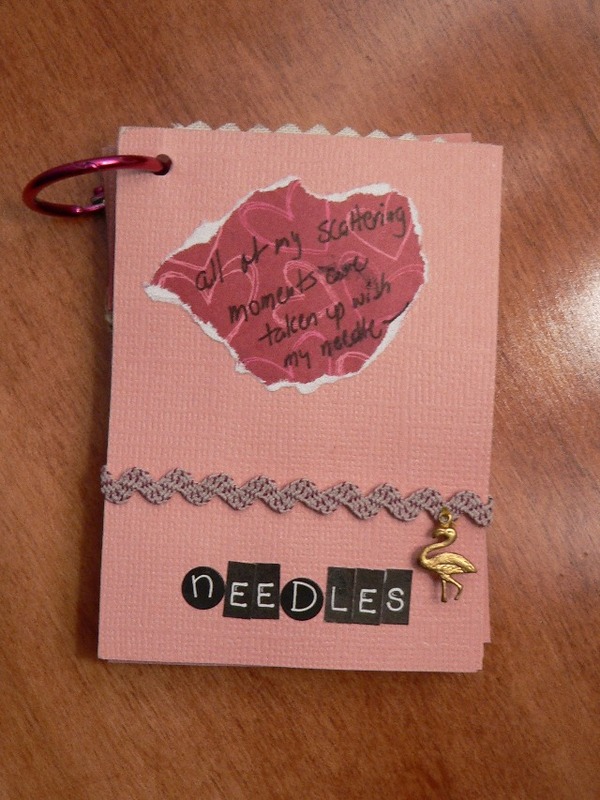 I stitched this with the called for DMC, but I stitched it one over one instead of two over two. 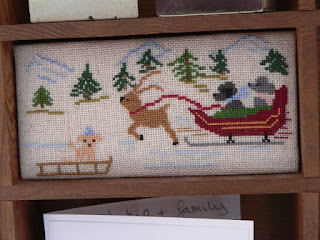 I used 28ct Deep Teal linen. It is backed with the fabric you see it lying on. I forgot to show you one thing June sent me for Christmas. This sweet pattern. Oh yes, I love, love, love this! This is my favorite Christmas gift this year. 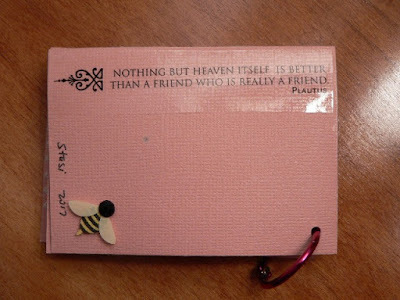 Our friend Catherine sent me the most lovely handmade gift. 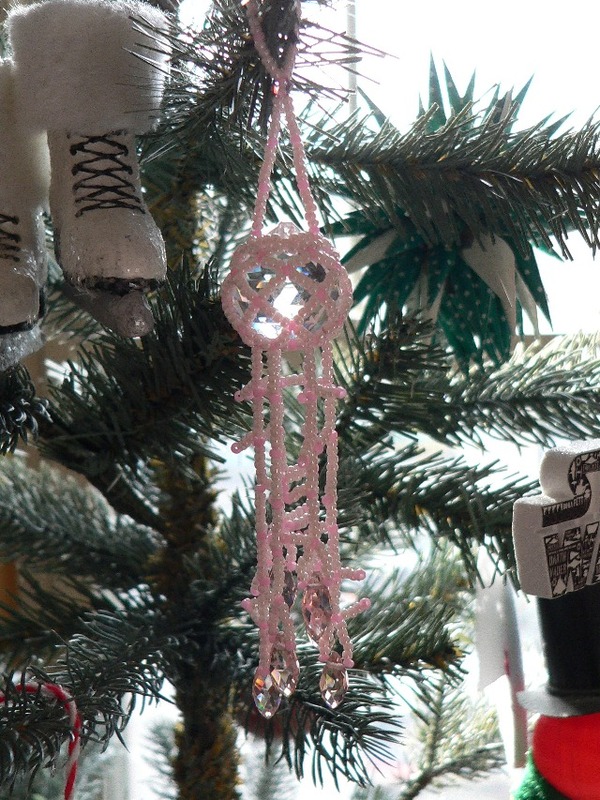 Just look at the love she put into creating this pink beaded beauty. Thank you again Catherine! Well my friends, I had the MRI done. It is not good news. I have a partially torn muscle in my shoulder/rotator cuff AND I have a labral tear in the lining of the shoulder joint. I am still in constant pain. I am seeing an orthopedic surgeon this morning. Please pray for me? Thank you for stopping by today. Your comments inspire me. I am grateful for you! I hope you have a wonderful weekend. Keep warm! It is really frigid here. Hi friends! I can share with you the ornament that I stitched up for our friend Gracie since she has received it. 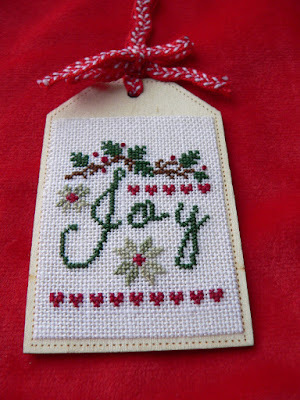 This is from the 2015 JCS Christmas Ornaments Issue. The pattern is called Very Merry Christmas by Medina Originals. I stitched this with the called for DMC, but I stitched it one over one instead of two over two. 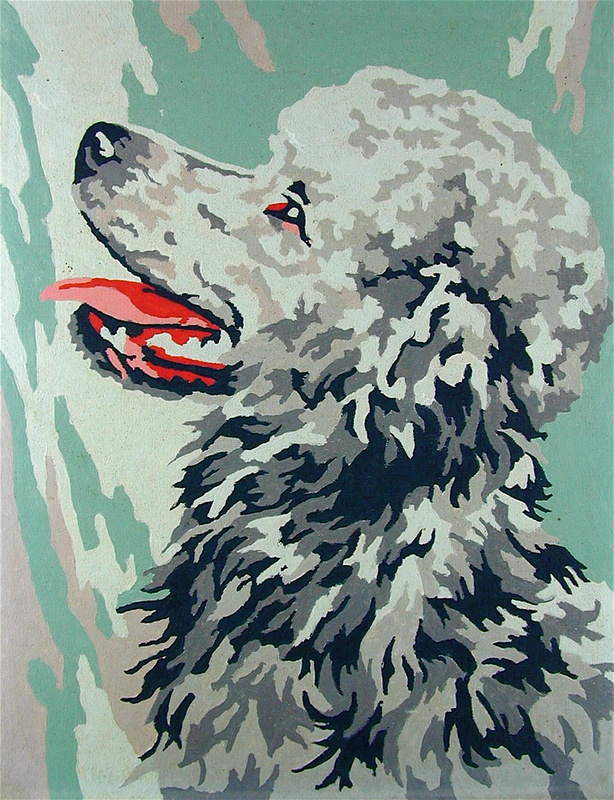 I used 28ct Deep Teal linen. 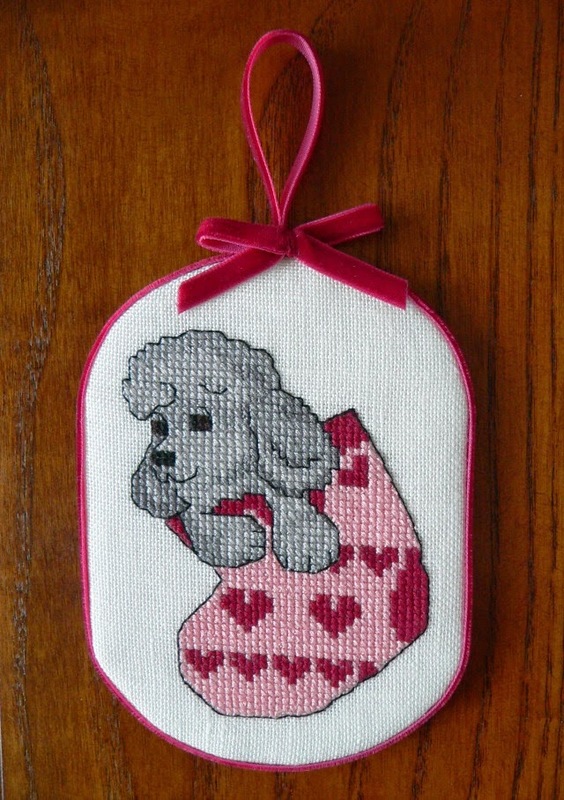 This little cutie is backed with the fabric you see it lying on. Let me share with you the gift that our friend June has sent me from England. I recently finished reading The Ghost of Christmas Past: A Molly Murphy Mystery by Rhys Bowen. I enjoy this series and this was a fun read. I am hoping to bake some Christmas cookies today. 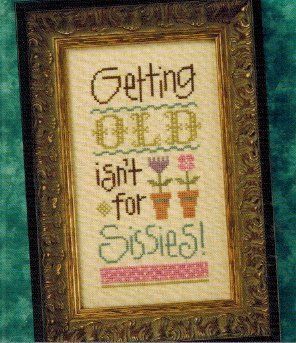 I am still stitching a Christmas present for Madeleine. Other than that, everything else is done for Christmas. Thank you for taking a bit of your time during this busy season to visit with me. I am so glad you did. Have a blessed Christmas my friends. I gave Little Henry his Christmas haircut. Hi friends! My physical therapist decided I need to stop PT and have an MRI done.I am just having too much pain. I have one scheduled for December 27th. No physical therapy sessions until after then depending on what is found. I continue to do the home exercises that I can manage. This is the wonderful window display directly across the street from our apartment entrance door. 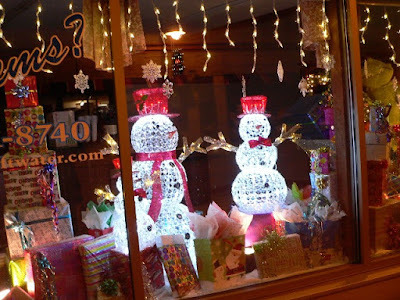 These are a plumber's shop windows. 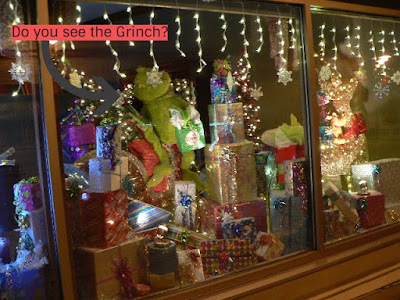 He does fun seasonal displays. Sorry. I tried to get a good picture. It was 5:30 a.m. and 12 degrees outside. Hi friends! Snowy weather here. Cold nights in the teens. How is the weather by you? I can share this ornament finish with you because it is for a friend from my church. 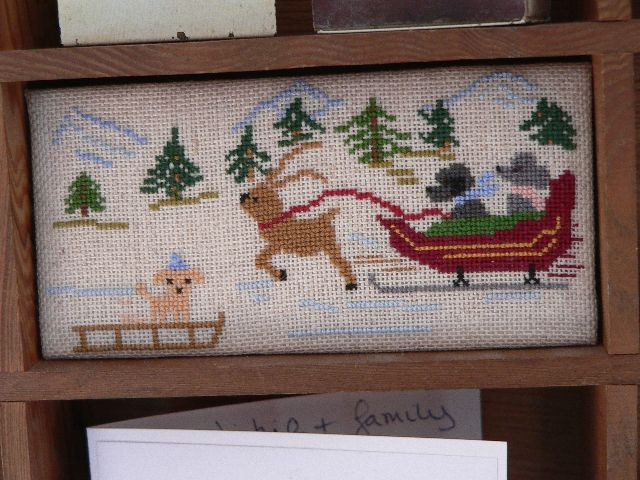 Those are little french knots you see for the berries. 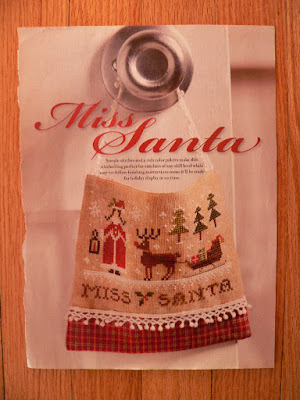 The winner of the"Miss Santa" pattern by The Little Stitcher is Martina! I continue on with physical therapy twice a week. To be honest with you friends, it is not going well. It is excruciating. I still think I have a tear in my shoulder. The x-ray did not show that. I have to continue on with the therapy. If I do not improve, Leigh tells the doctor and then my doctor orders an MRI.😧As my mom has always said, "Keep on, keeping on." But maybe, you could pray for me? Please? I am not a wimp, and this hurts, so it is BAD. Thank you. I was blessed by our friend Gracie. 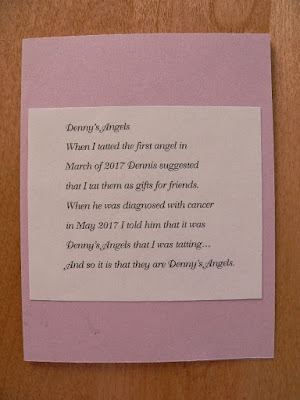 I was a fortunate friend who received a special, special gift this year. Just look. 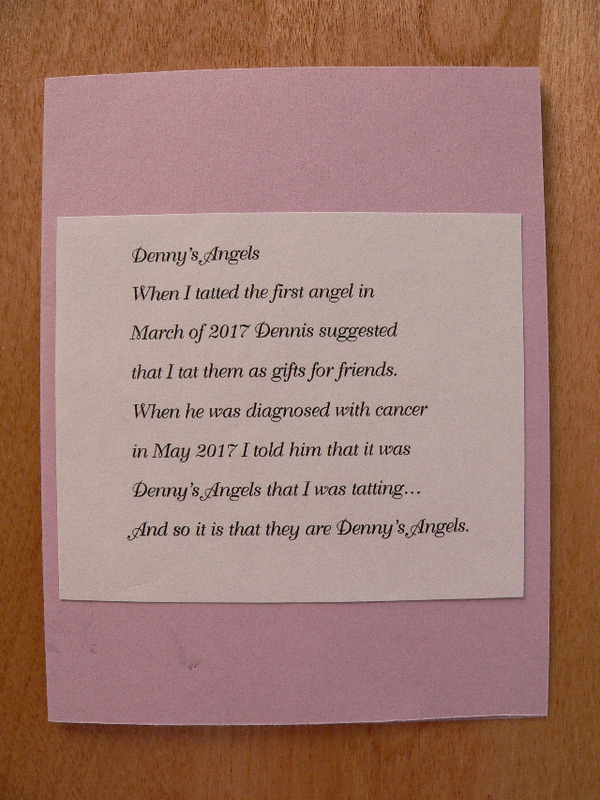 It is one of Denny's Angels. Thank you Gracie. This means a LOT. This angel is so beautiful. on-line publication of Gift of Stitching from 2009 to 2011. I had a super time looking through all of the CDs the other day. I have now begun a project. I am hoping to get it done for a gift for Christmas for Madeleine. We shall see! She is off of school now for Christmas break. This was unplanned, and is taking up time I should be using to bake cookies, but.... this is an absolutely perfect pattern for my Madeleine, so I am stitching!! I am so glad you stopped by to visit me today my friends. Your comments brighten my days, and frankly with this added EXTRA pain lately, I sure can use brightening! Have a super weekend! God bless you! Hi friends! 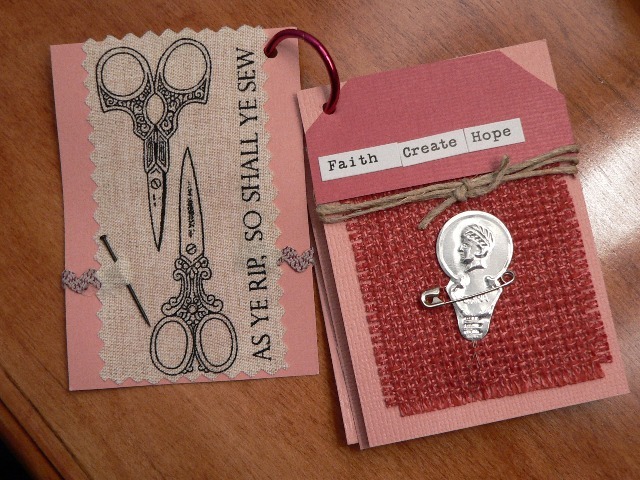 Let me share the ornament I have created for my mom this year with you. 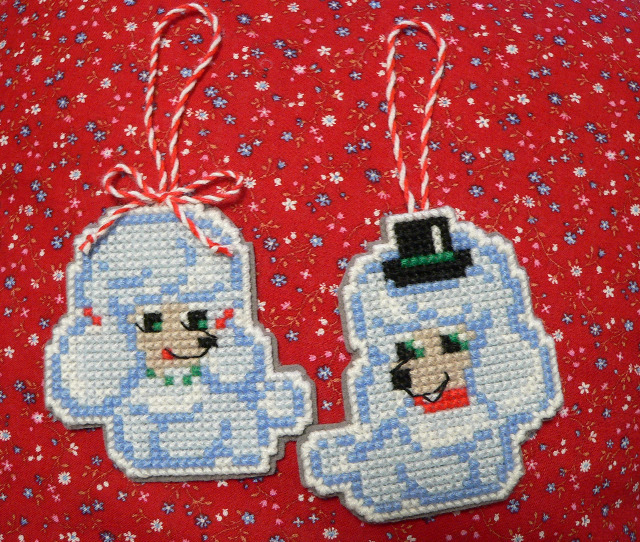 It is from this year's Just Cross Stitch Christmas Ornaments Issue. This pattern is called Halleluia by Nikyscreations. I stitched it two over two on mystery 30 count sparkly fabric. 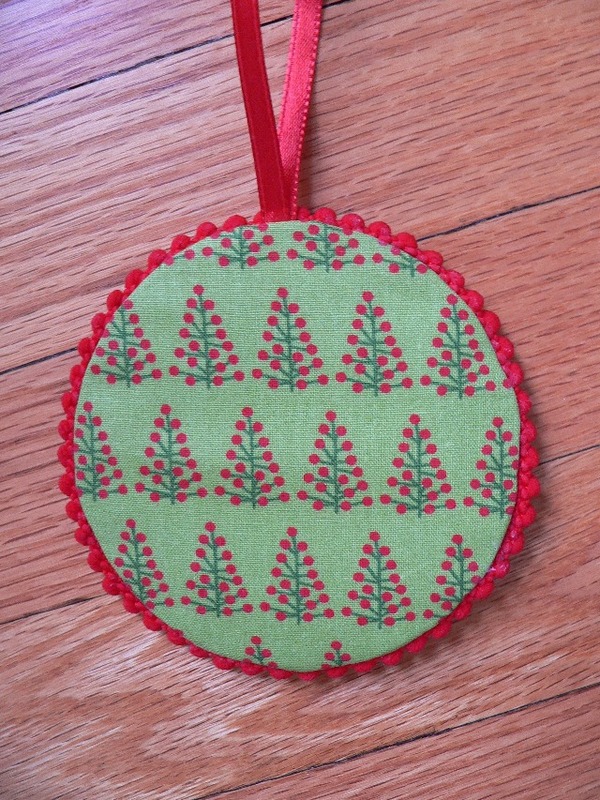 The fabric you see it lying on, is what I backed the ornament with. I found those BEAUTIFUL, PINK ribbons at Hobby Lobby. Just what I needed! I have not shared the latest ordeal that I have been going through. You may recall I have severe neck arthritis. I had a cortisone injection in my neck almost two years ago for the pain, which caused the daily migraines THAT HAVE NEVER GONE AWAY SINCE THEN AND NO DOCTOR HAS BEEN ABLE TO HELP ME GET RID OF THEM. Anyhow, about two months ago I opened the bedroom window and turned to walk away and it fell onto my left shoulder/upper arm. The window is the kind that stays connected at the bottom so you can clean the outside. Well the thing broke and fell on me! A HUGE, TALL window. It hurt. I had a minimal bruise. I did not think a lot about it. Weeks passed. My shoulder and arm started causing me bad pain. I mean BAD pain. I have clicking in my shoulder and I cannot raise my arm. Maybe my neck also is causing pain. I finally decided to see the doctor. I had x-rays. She wanted to make sure I did not have a rotator cuff tear. There was not a tear. So she ordered physical therapy. Ha! Once again back to Leigh my old physical therapist. Hello to friends new and old! Welcome! Welcome! 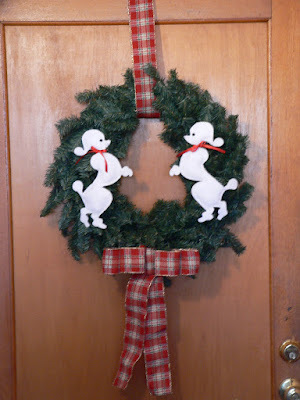 Today is the 10th day of the Online Advent Calendar Blog Hop hosted by our friend Jo. 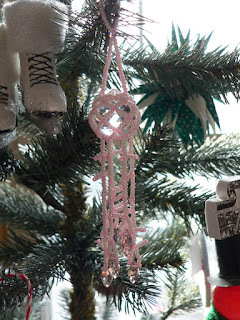 I could not resist THIS ornament as the picture to share this year. 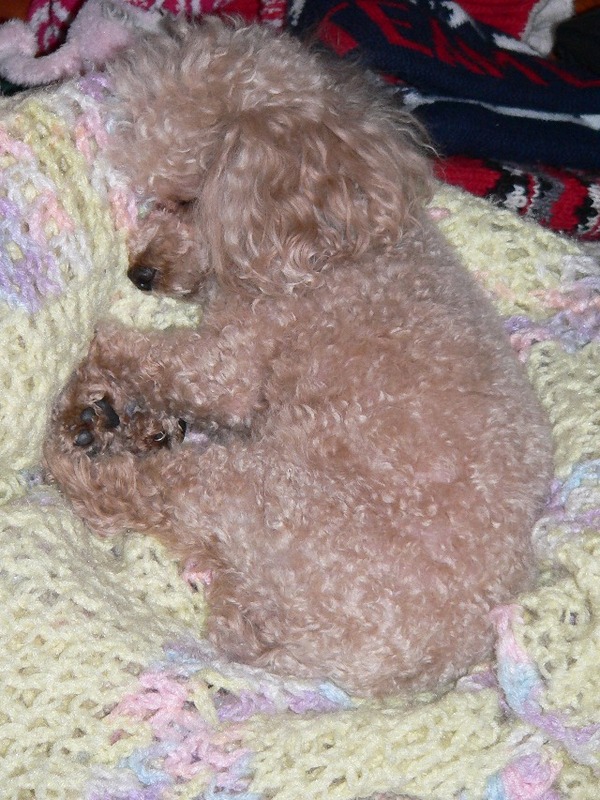 For those of you who are new to my blog, this is Mabel. Our sweet Mabel died back in July this year. 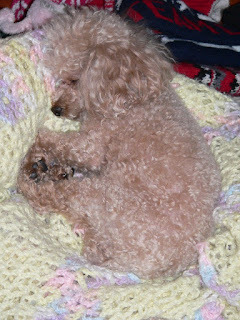 We still have our two other poodles. I am so glad you "hopped" by today friends! Have a blessed, peaceful Sunday. Hi friends! 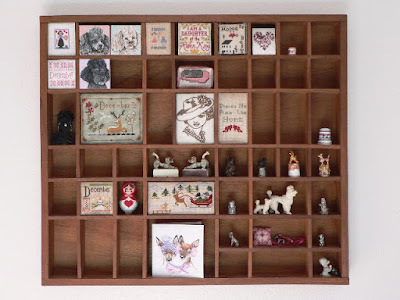 Here is the cubby shelf for December. I saw a story on Adolpho Kaminsky on 60 Minutes on TV. Madeleine was watching it, and I overheard it from the other room, it sounded very interesting, so I came in and watched. Mr. Kaminsky was a forger during World War II and beyond. He helped thousands of Jews escape death. 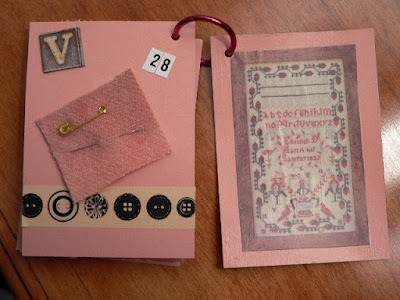 His daughter wrote the story of her father's career as a forger. Best-selling author Sarah Kaminsky takes readers through her father Adolfo Kaminsky's perilous and clandestine career as a real-life forger for the French Resistance, the FLN, and numerous other freedom movements of the twentieth century. Recruited as a young Jewish teenager for his knowledge of dyes, Kaminsky became the primary forger for the French Resistance during the Nazi occupation of Paris. Then, as a professional photographer, Kaminsky spent the next twenty-five years clandestinely producing thousands of counterfeit documents for immigrants, exiles, underground political operatives, and pacifists across the globe. Kaminsky kept his past cloaked in secrecy well into his eighties, until his daughter convinced him to share the details of the life-threatening work he did on behalf of people fighting for justice and peace throughout the world. Finally, here is a pattern I am offering you my friends. 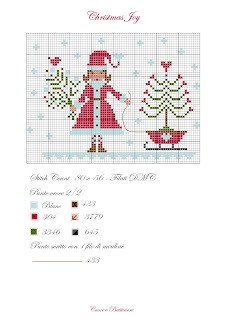 This pattern is called Miss Santa and it is a design by The Little Stitcher. 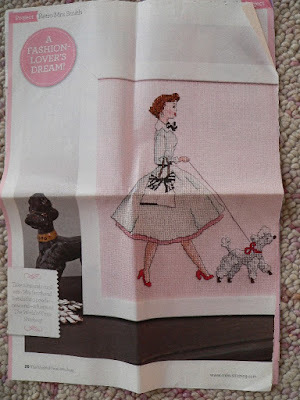 This is just one page I have torn from Just Cross Stitch magazine. I think it may be from last year, I am not sure anymore. I will be folding this pattern to fit into a business sized envelope to save on postage, so this drawing is open to all of my friends, anywhere in the world. You just need to be a follower of mine and leave a comment here on this post telling me you would like to be included in the drawing. I will draw a name and announce the winner next week, on Friday the 15th. Thank you so much for stopping by today. I enjoy your comments. I hope you have a super weekend! Hi friends! We have been having very mild weather here in southeastern Wisconsin for early December. 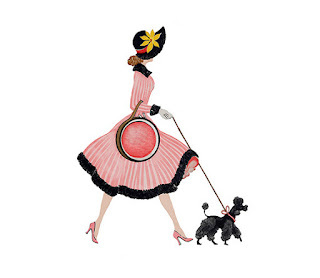 The poodles and I love it! No snow in sight. If you stop by the bakery downstairs you will see this caricature painting of Brian's boss. 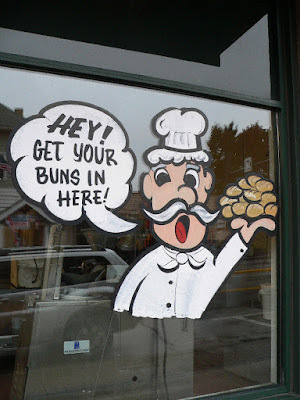 The Italian baker who Brian bakes with at night and who owns this building. 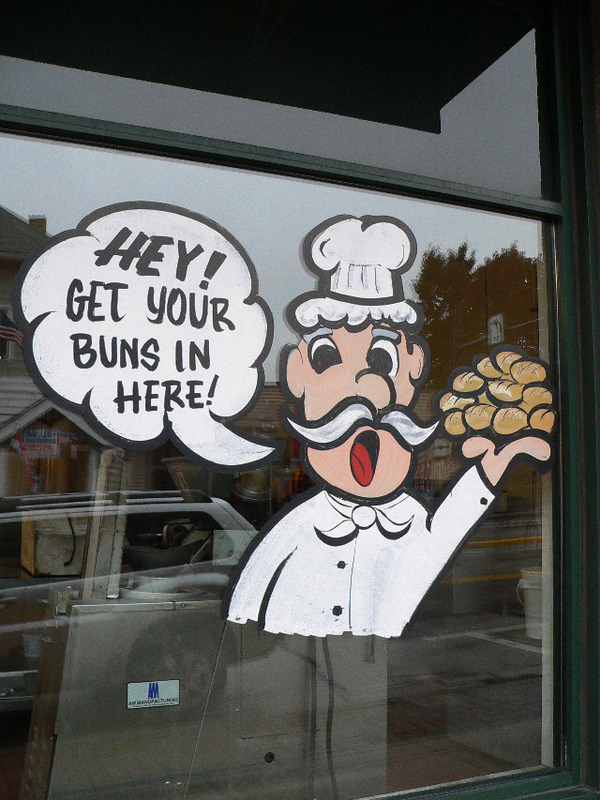 Um, yes, that should give you a little idea of his macho Italian personality. He is a very nice man though, really. His daughters have told Brian, "My Dad loves you Brian." Yes, I actually have concrete Mabel and Henry in our living room here at the apartment. I could not part with them, and what is the point of them living in storage? 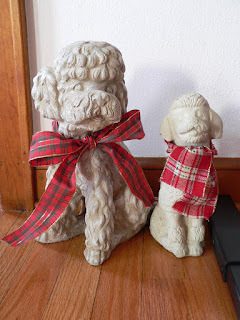 They are ready for Christmas. And here is the last look at Madeleine's two poodle ornaments I made her fully assembled. They are ready for her St. Nick's stocking on Tuesday night. This year the boys are just getting store bought Star Wars ornaments. They will still be happy. Trust me. 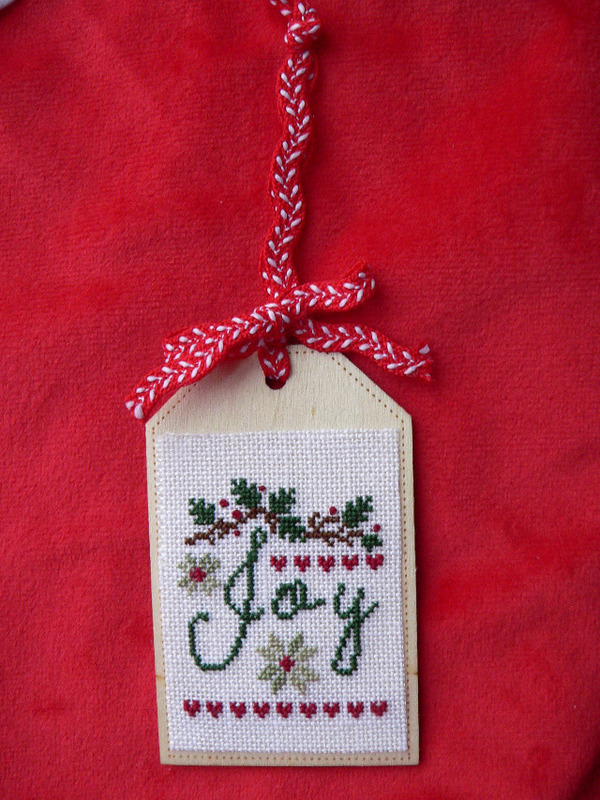 I will have another finished ornament to share next time! Hi friends! 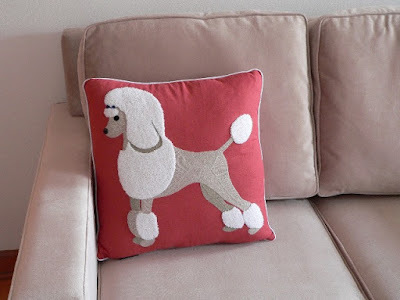 I finished stitching the boy poodle and I cut them both out and whip stitched around them both. 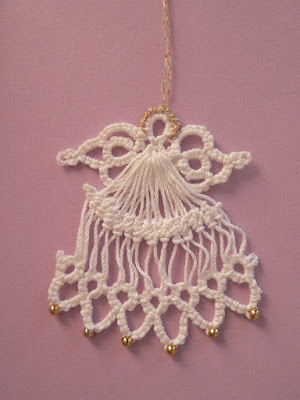 I still have to make cording for the ornament loop and cut and attach the backing. That will have to wait until Madeleine works this weekend. When we first rented this apartment, Brian painted. Then we began hanging a few of my precious "art" pieces. 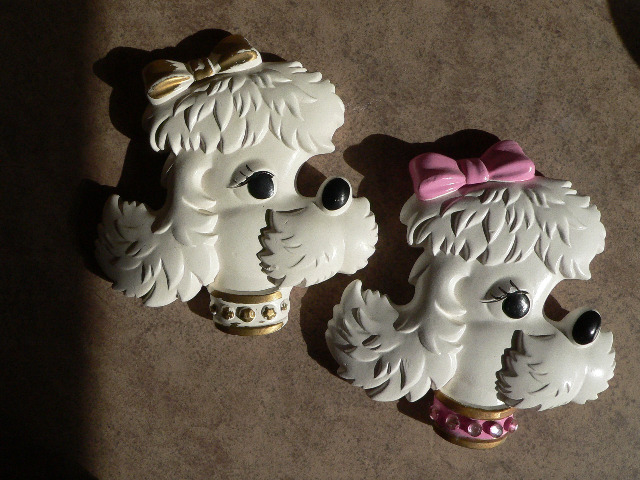 I looked back over my years of blogging and realized I never, ever showed you my chalkware poodles. 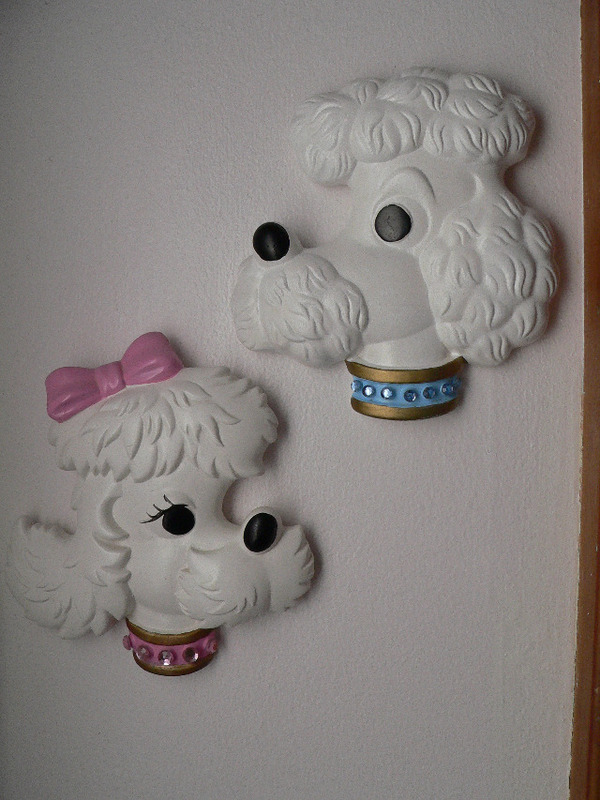 Mr. and Mrs Poodle have always hung in our bathroom at our last home. So I naturally wanted them to hang here in this bathroom. 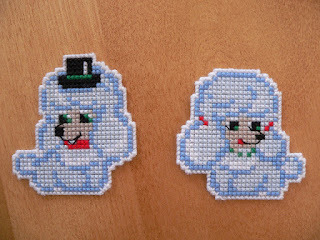 Brian hung them for me before we even moved in. Brian and I came one day to do a little more work, since we were working on the apartment bit by bit, and I walked in and noticed something laying on the ceramic tile floor of the bathroom. 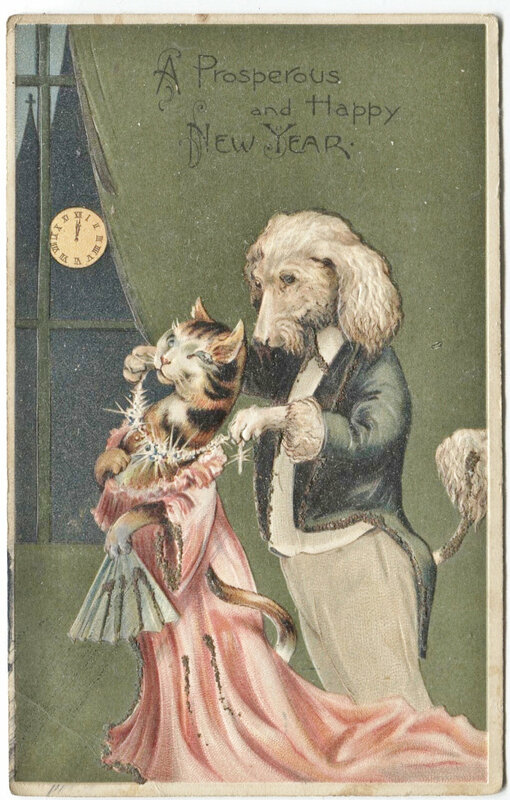 I could NOT figure out what this could be for a moment. Then I realized it was the boy poodle face down in pieces. The girl fell down also, but she fell into the sink and had only one tiny chip. Why did this happen? We used those Command picture hanging thingies this time. Each poodle has a tiny wire hanging out the back and it is a rather delicate situation. These were made in 1978! I just about cried. So I went to ebay and I found another set for a very good price. Yay! A half a week later I unpacked Smokey Joe and Tobacco Tess. Yes, they looked fine, but, WHOA! 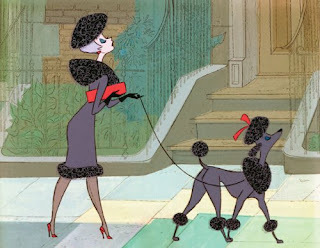 I actually got a headache from the tobacco scent off these two poodles. The poor things. They lived their lives with a smoker. 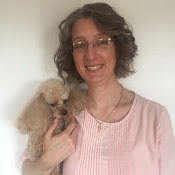 I took Tobacco Tess' picture here with Mrs. Poodle. Tess is on the left. I guess you cannot really tell except in real life how yellow she is. Ugh. Gross. 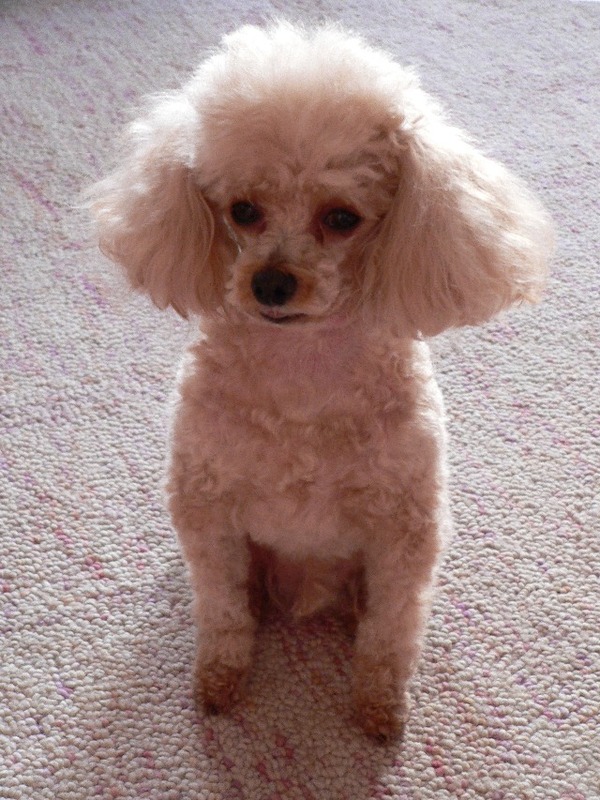 Mrs. Poodle has a pink bow and collar with rhinestones because I painted her that way. Poor Tess went into a Ziploc bag. She is hermetically sealed for the rest of her days. Smokey Joe... he needed a makeover! Madeleine and I worked together on him. I cleaned him three times with vinegar. 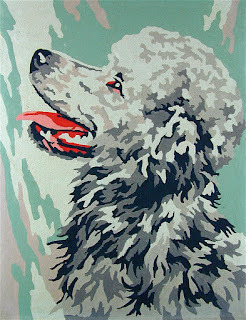 We completely painted him white, gave him the baby blue collar and rhinestones too. So Mrs. Poodle got a new husband, Smokey Joe got a new wife. Yes, I am a goof. 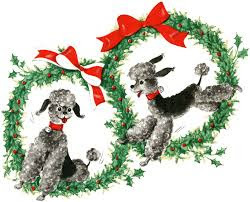 You should have heard me giving voices to the poodles as well! I do a pretty good smoker's gravelly voice for guy and gal. HA! The kids and I were laughing at my stupid stories. So here are Mr. and Mrs. Poodle in the bathroom hung with nails!! 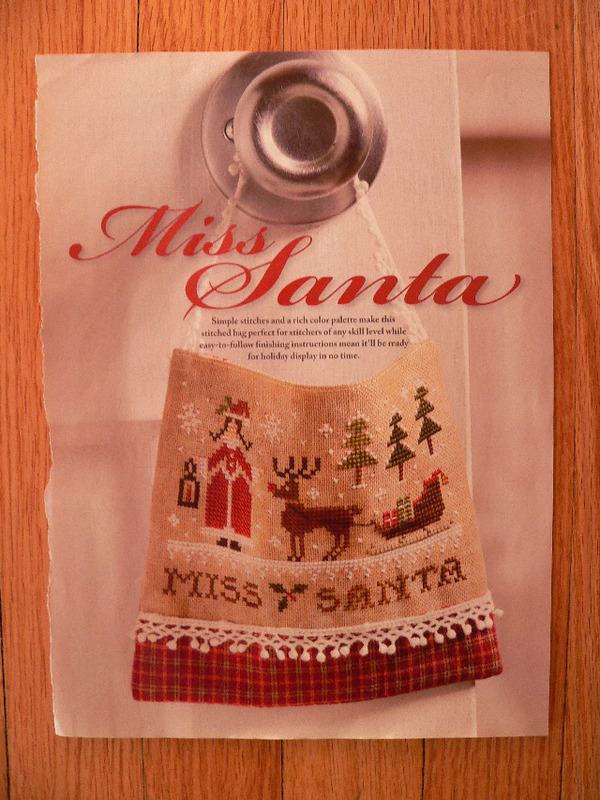 The only other decoration in the bathroom I have ever hung I also never shared with you. I have always referred to it as the Poodle Display Board. The glass front door stays shut with a magnet. 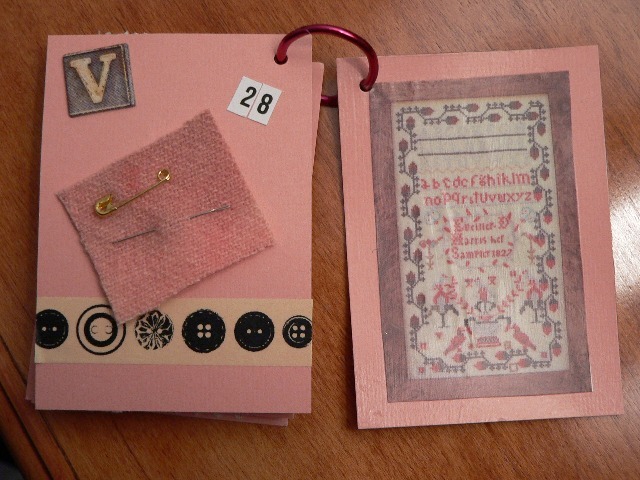 The inside has a linen padded board in the back to pin things up and display. I have a GIGANTIC collection of poodle greeting cards from the '60s. The collection was selling on ebay for cheap. Who the heck else would want used cards?! That is what Brian was wondering. Ha! 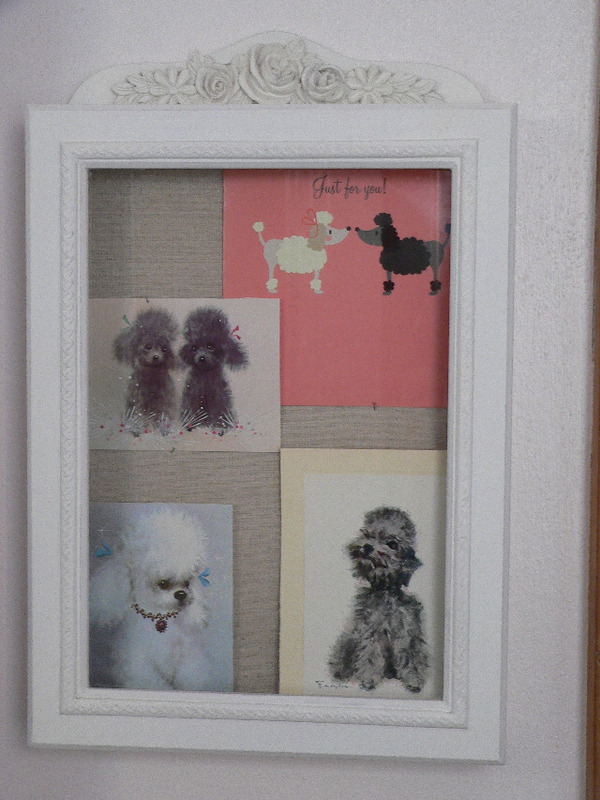 I have added poodle cards gifted to me over the years. The one on the top right is from June. I do seasonal displays. That is it for today my friends. Thanks for reading my silliness. Or maybe I bored you? Or scared you?